Fatty acids are the main constituent of lipids, therefore their presence is a clear sign of this type of substance. They are chains of carbon and hydrogen atoms that establish their name according to the number of carbon atoms that form the structure. 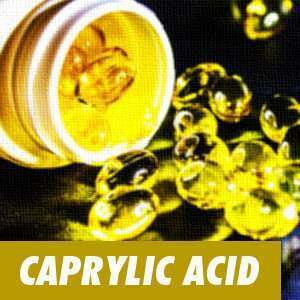 How should caprylic acid be taken? Within this range of substances we may find the caprylic acid, which is the most common name for this fatty acid that possesses the systematic name of octanoic acid (since it is integrated by eight atoms of carbon, being regarded as a medium chain). It must be clarified that this scale is constituted by those acids that in nature are found in a saturated state, making them have very different physical, chemical and nutritional properties to the monounsaturated and polyunsaturated, among which we can find, for example, oleic, linoleic or linolenic. However, the presence of these compounds as such in food, ie as free fatty acids, is usually due to an alteration of the food products, normally because of a rancidification of the lipids or fats, as it is not common for them to form a part of their chemical composition. Caprylic acid is found in breast milk, coconut milk and palm oil. It is a beneficial substance for the control of bacteria in the organism and to care for our intestinal flora. Regarding caprylic acid, to find a predominant natural source we have to turn to very different substances: a fruit, the coconut, and an organic fluid, the breast milk from female mammals, including from human beings. In the first case, it coincides with the existence of capric and lauric acid. In the second, it may be said that the body synthesises it in very small quantities. 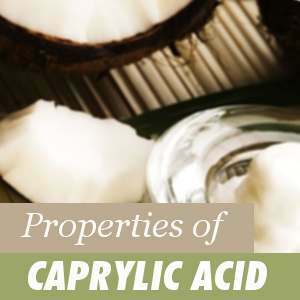 While the largest part of the caprylic acid in nature is concentrated in these sources, the list of materials with a constant presence of this acid would not be complete without including palm oil and hemps seeds. For its use in the pharmaceutical industry, which has a high relevance as we will explain below, it is obtained mainly from the hydrolysis of coconut or palm oil, subsequently performing a fractional distillation. To start off with the opinion of the Health Science Institute, from Maryland (US), can be highlighted, as an institute that recognises the multiple benefits of caprylic acid for human health. However, before we proceed to expound on this subject, with regard to the physical properties of caprylic acid we may say that it is partially soluble in water and can be distinguished for giving off an intense typical rancid smell. For its part, the United States Department of Agriculture (USDA) has catalogued caprylic acid as a GRAS (Generally Recognised As Safe) substance, thus it is a substance that is easily assimilated by the organism, of easy digestion and practically exempt of toxicity. For this last point, it is of importance the fact that it is oxidized in the mitochondria and other compartments inside the cytoplasm of the cells, which frees up the prime detoxifying agent, the liver, from additional toxic load. Medium chain fatty acids, such as caprylic acid, are characterized by their capacity to facilitate the absorption of antioxidants from food and the fact that they can pass through cell membranes easier than long chain fatty acids simply due to a question of size. Additionally, for the body to use it efficiently the is no need for the intervention of lipoproteins or specific enzymes. One of the parts of the organism that most seams to be benefited from this substance is the stomach. It behaves as an acidity balancer in a medium where the pH has to remain as constant as possible because this will partly affects the normal functioning of the immune system. Consequently, the intake of caprylic acid is recognised as an enabling practice for adequate conditions in the gastric environment. The fact that caprylic acid is found in breast milk and, as a consequence, is part of a newborn’s diet would seam to be related with its ability to destroy pathogenic agents such as bacteria and fungi. Thereby, it could be concluded that nature has enriched the nourishment of newborns with an antibiotic that is capable of keeping at bay the microorganisms that could pose a threat for a weak immune system. The therapeutic possibilities do not end here with this compound. According to the Physicians Desk Reference Guide to Nutritional Supplements, in addition to combating bacterial infections and those caused by fungi, caprylic acid can exert a very positive effect on common disorders such as arterial hypertension, which in turn behave as a predisposition factor for multiple pathologies. Another sector in which the expectations for caprylic acid are very promising is in the treatment of Crohn disease. The evidence produced by the work of a Japanese research team on human cells revealed that this substance holds an enormous potential to underpin the treatment of this intestinal inflammatory disease, aiming its action at the cause of the problem, which is the release of IL-8 or Interleukin 8. This protein, which fulfils a decisive role in the outbreak of the intestinal inflammatory process, would remain blocked at the origin of its synthesis, and consequently, the onset of the disease would not take place. In the field of systematic supplementation with caprylic acid the scientific background is not sufficient to advocate resorting to it. 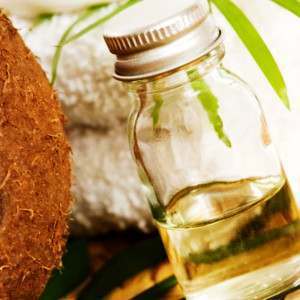 However as far as it is known, including coconut oil in the habitual diet is advisable simply because of the presence of this acid with health benefits that are beyond doubt. There is reliable data, including those collected in a study published in the journal "Lipids a few years ago," which anticipate the more than probable effects of it reducing abdominal fat deposits and normalizing cholesterol levels. Caprylic acid has also earned its place in gallstone dissolution treatments, as well as to accelerate the convalescence period following surgical operations or as maintenance therapy in some chronic diseases. Likewise, there is lately a belief, although with some reservations, that caprylic acid can be used in the treatment of epilepsy (it is considered a reliable alternative when used for seizures that do not respond to conventional treatments), and in those patients with a deteriorated digestive assimilation capacity of fats, it is used as a nutritional supplement parenterally (in injection). Apart from its possibilities in the field of medicine, it is interesting to mention that it is used as a pesticide and disinfectant in equipment that is aimed at food processing, such as in breweries and wine cellars, in order to achieve maximum sanitation. With a similar purpose it has appliance in greenhouses, nurseries and ornamental centers, in which it is used to prevent or to fight contaminations by bacteria, fungi or algae. However, without doubt, the health benefit most widely recognised by the scientific community in relation to the intake of caprylic acid is its ability to control the proliferation of the known yeast, Candida albicans, of which one of its preferred habitats is the human large intestine. Yeast is a term that refers to a group of living organisms, that broadly belong to fungi kingdom and are characterized for being unicellular (at least most of its life) and fermenting sugars. Some of them are beneficial and do not cause diseases, moreover they are known for their contributions to the food industry, such as the production of bread or beer. But others are pathogenic, like Candida, being the causing agent of important illnesses. What is known as systemic candidiasis is an infectious problem that usually has a severe prognosis and with symptoms that usually last several months or years, tending to chronification. The origin of this process is not easily identifiable by professionals of conventional medicine and, therefore, in the absence of a conclusive diagnosis, patients who seek to be cured with alternative therapies are not uncommon. The problem in reaching the diagnosis is that there is a parallelism or overlap of the clinical pictures from disorders with very different origins such as fibromyalgia, hypoglycemia and hypothyroidism. The genesis of this disease must be sought in a growth outbreak of Candida colonies in the large intestine, an event that occurs under conditions of excessive mucosa permeability. This previous deterioration of the intestine provides its wall with a poor resistance, making it easy for substances to pass through which in normal integrity conditions would not have any possibilities to do so. In this case, the toxins made by the yeast Candida and its antigens are absorbed and will circulate in the bloodstream, becoming an attack on our immune system. The specific mechanism by which this acid exerts its action against the fungi is not known with certainty yet. The most accepted thesis is based on the fact that it attacks the molecular structure of the cell membrane, practically causing its dissolution and, consequently, lethally altering the permeability of the membrane, which triggers cell death. On the other hand, the remarkable lipotropic properties of caprylic acid make it effective against Candida located within the epithelia (body lining tissues). Because of its low or inexistent toxicity, caprylic acid fits into a long-term antifungal therapy perfectly, demonstrating that it is not only effective against all Candida species, but also against other yeast genera such as Geotrichium and Rhodotorula. A highly interesting aspect within its therapeutic arsenal is its ability to degrade the biofilms that certain fungi develop in some parts of the human body. These are ultrafine membranes integrated by a colony of fungi, mostly of the genus Aspergillus (a very pathogenic type of environmental mold), that covers cell walls invading complete tissues. Within these biofilms, the fungi, block the action of some proteins, especially immunoglobulins or antibodies, for their survival. To achieve this they secrete a special type of enzymes called endonucleases, which degrade the antibodies that are specialized at a local-level immune action, known as IgA, and thus leave the affected tissue defenceless and can succeed in their invasion. For this reason, caprylic acid is usually used as a natural substance in treatments designed to halt the accelerated proliferation of yeast and fungi in the colon, in this specific case of Candida albicans. Its antimycotic effect began to be demonstrated decades ago in laboratories with tests carried out both in vitro and in experimental animals, covering a very wide range of acidity of the medium to display its effectiveness, with a pH that varied between 2.5 and 8.5. Other clinical situations that occur with some assiduity are yeast skin infections, for which the results of caprylic acid-based treatments may be referred to as outstanding. The same can be said about a quite common disorder in women, which is vaginal candidiasis, which occurs with an inflammation of the mucosa of this tract, ie a vaginitis. Firstly, it is not infrequent that these treatments generate in the patient symptoms of sickness, nausea and joint pain in different joints, it is even common for feeling of sickness to be greater than prior to the treatment, but this must be taken as a part of the process: it is known as the Herxheimer reaction. It is due to the progressive destruction of the Candida cells which causes the release of waste substances with toxic properties that will be present until they are excreted by the organism. At the critical point of the death of yeast, high quantities of toxins, cell residues and antigens will be emptied into the intracellular liquid simultaneously. This situation may continue up to a maximum of two weeks, although it is not expected to last more than one. Therefore, this reaction should not be considered a negative side effect of the consumption of caprylic acid (as it usually is), because it is really a positive manifestation. If we keep to the side effects in the literal sense of the concept, we can affirm that caprylic acid lacks any of them, when administrated in the recommended amounts. However, if the guided doses are exceeded and the security margin is overcome (which means consuming several times the recommended amount), stomach irritations and nausea have been described, which may even be avoidable if this overdose is taken along with food. These side effects have to be compared to those associated to the intake of less tolerated fatty acids, that frequently produce swelling and abdominal pain, vomiting and diarrhoea, with different grades of intensity. It is necessary to make mention, as a particular case, the possible adverse reactions generated in those patients that follow a ketogenic diet to control epilepsy. In this situation, events of hypocalcemia, acidosis, lethargy and renal calculi have been described, but in any case it does not seam to be clear that these events are directly linked to caprylic acid, as there may be some cross of incompatibility of its use in people that suffer from some grade of kidney deterioration. In turn, it is advisable not to take this substance, as a precaution, for those people with low blood pressure, liver failure or similar ailment and a very specific and very rare disorder: the deficiency of the enzyme middle chain acetyl-CoA dehydrogenase, which intervenes in the metabolism of this acid. Regarding the safety of systematic and prolonged intake of this acid supplement, the valid scientific references are still very scarce, but there is some suspicion that they may trigger certain side effects similar to those described for the general consumption of abundant amounts of fatty acids, ie nausea, constipation/diarrhea, feeling of gastric acidity and poor digestion. Of course, caprylic acid is no exception to the precautions that should always be taken in children, pregnant and lactating women and people prone to stomach ailments. While we can not catalogue it as a secondary effect, and on the other hand it has not been accurately established in people, it is probable that caprylic acid alters the detoxifying and elimination capacity of an insecticide called carbaryl, which belongs to the carbamates group of insecticides, highly used in the usual formulas of domestic-use insecticides. This would generate a certain susceptibility to its exposition. And, although there is a lack data to be able to completely confirm this, caprylic acid could intervene with inotropic substances (ie, those that act promoting muscle contraction), blood thinners such as warfarin and non-steroid anti-inflammatories, such as indometacin or phenylbutazone. It has a certain grade of interaction with the anti-hypertensive drugs, such as coenzyme Q10 and the amino acid L-arginine. Thus, precaution is recommended for those that routinely consume preparations that contain these agents. The therapeutic dosage of caprylic acid that is commonly prescribed will range between 350 milligrams and 2 grams (regularly not exceeding 1 gram), frequently taken, with meals, throughout the day. To avoid the Herxheimer reaction, explained previously, the best option is to progressively increase the dosage until completing, in a reasonable time, the dose that was established for the specific case. As, if it is a intestinal infection, the yeast will be hidden in obscure folds of the colon wall, the treatment may last up to several months (it can not be ruled out that it lasts over a year in the most difficult cases). The duration will be established in terms of the condition of the patient and the moment of the course of the illness at which the problem was addressed. Due to its tendency to be easily absorbed through the intestinal wall of the small intestine, it is common to resort to slow release formulations of caprylic acid that are protected by a coating which makes them resistant to gastric juices. Thus, the release will take place in the large intestine, where the population of Candida is massively concentrated. On the other hand, depending on the idiosyncrasy of the patient, the chance is taken of delivering the acid to its destination as a combination with other fatty acids, which will reduce the therapeutic function, instead of as an isolated substance. Hence the need of taking it as a coated capsule, of which the current best seam to be the softgels. Thanks to the regulating effect on digestions and the influence on the state of the skin of caprylic acid, coconut oil, the main source in nature, is recognised as a great nutritional supplement. A good nutritional habit would be to enrich breakfasts with a spoonful of coconut oil or to dress salads with it. It can be found on the market as capsules (in a liquid state) and in tablets. In fact, the latter are nearly exclusively associated to people who suffer from candidiasis, as they are derived from dairy products. Due to the fact that caprylic acid is highly soluble in fats, it is advisable to be consumed along with olive oil, seed oils or omega 3 fatty acids. A vital step that should be taken is eliminating sugar from the diet, since it is the main substrate used by this germ for its nutrition. The addition of probiotics is a deadly weapon against Candida populations. This can be done with foods that are rich in bifidobacteria, this contribution increases the intestinal flora that competes with the yeasts in the large intestine. A similar effect can be described with Lactobacillus-type bacteria, a good probiotic that behaves in synergy with the previous one. In addition, it is of interest to introduce foods that are rich in L-glutamine (such as not very cooked meats and fish, eggs and whole grains). 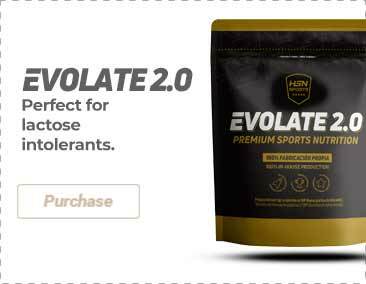 This amino acid is especially necessary when an increase of the immune response in the intestinal epithelium is required and in situations of excessive intestinal permeability. A basic supplementation with a multivitamin rich in vitamin C is also a good option. Caprylic acid, although efficient on its own, works better in combination, as this way the possibilities of the Candida yeast getting used to it and avoiding its action, are reduced. Therefore, it is desirable to combine it with other natural antimycotics such as garlic, oregano oil or grapefruit seed extract. Specifically, garlic extract because of its antifungal and antiseptic nature par excellence. In fact, a study conducted by the Huntington College of Health Sciences revealed a specific activity of garlic against Candida, stopping its growth. The most advisable mechanic when considering a treatment consists in combining two or three antifungal compounds simultaneously, evading the resistance pathways that can followed by Candida albicans, and, alternatively, taking different supplements that contain caprylic acid as the main ingredient.